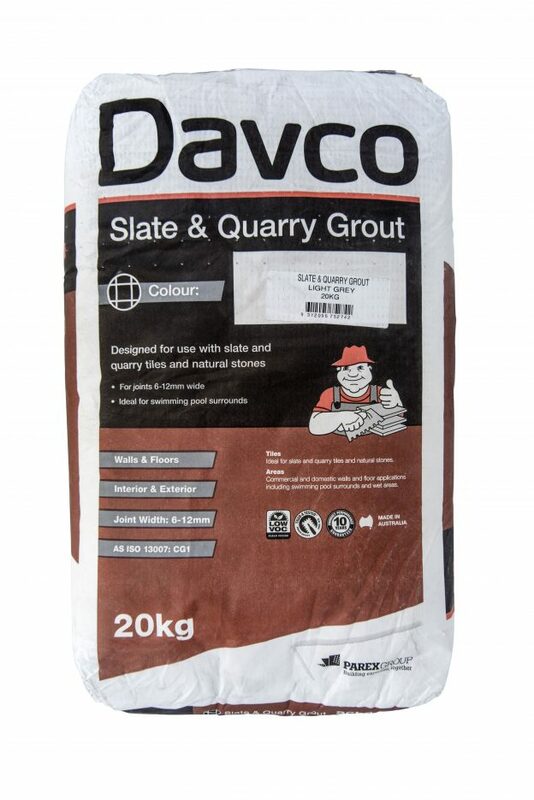 A cementitious grout designed for use with slate and quarry tiles and natural stones. Suitable for interior and exterior applications. Commercial and domestic walls and floor applications including swimming pool surrounds and wet areas. 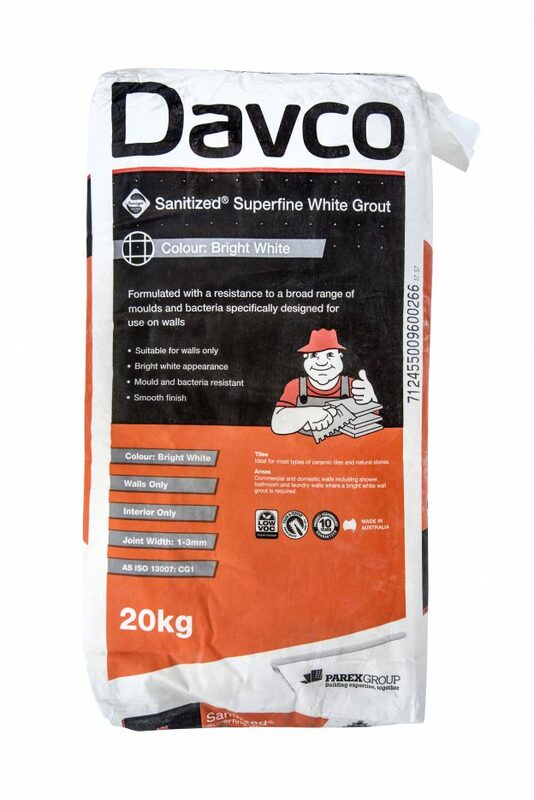 A cement-based grout with a resistance to a broad spectrum of moulds and bacteria. Commercial and domestic walls including shower, bathroom and laundry walls where a bright white wall grout is required. 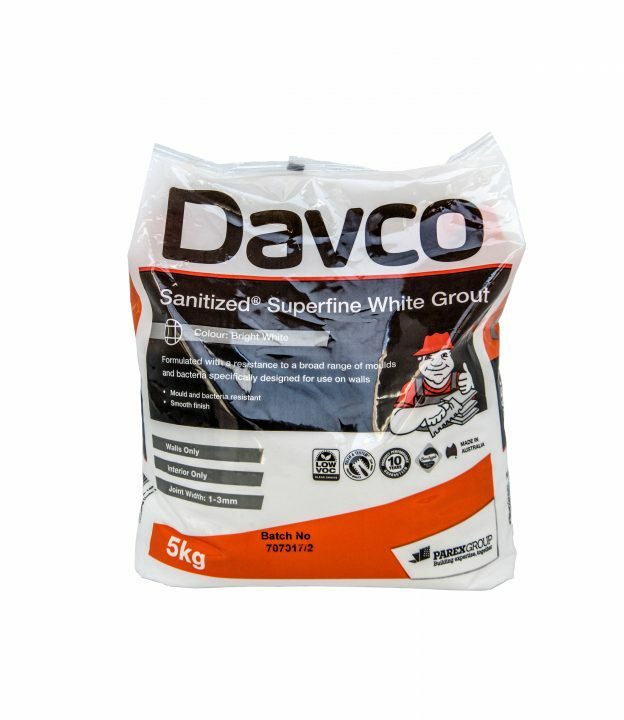 A cementitious grout designed for use with most types of ceramic tiles and natural stone applications. Suitable for interior and exterior applications. Commercial and domestic walls and floors including swimming pools and wet areas. 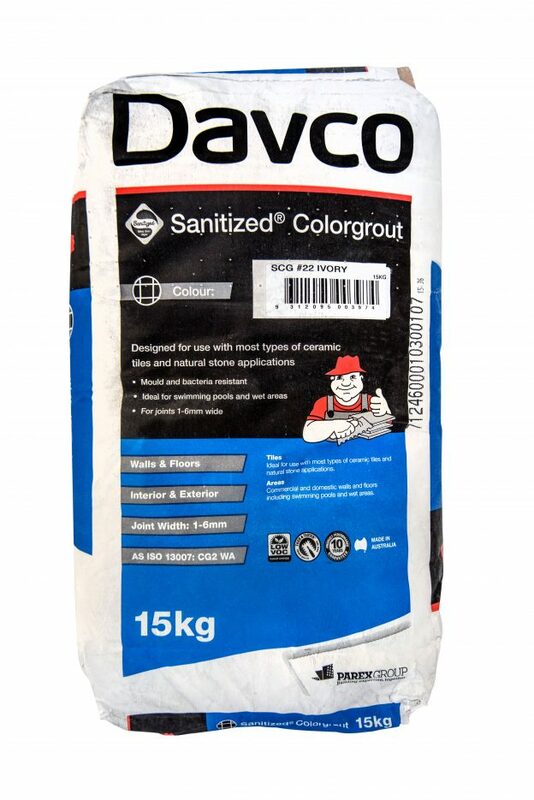 It is not suitable for use in harsh and demanding environments or where there are hygienic requirements i.e. 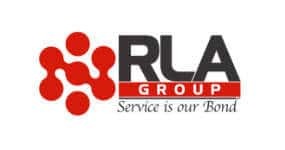 commercial kitchens, public toilets, food processing plants etc. 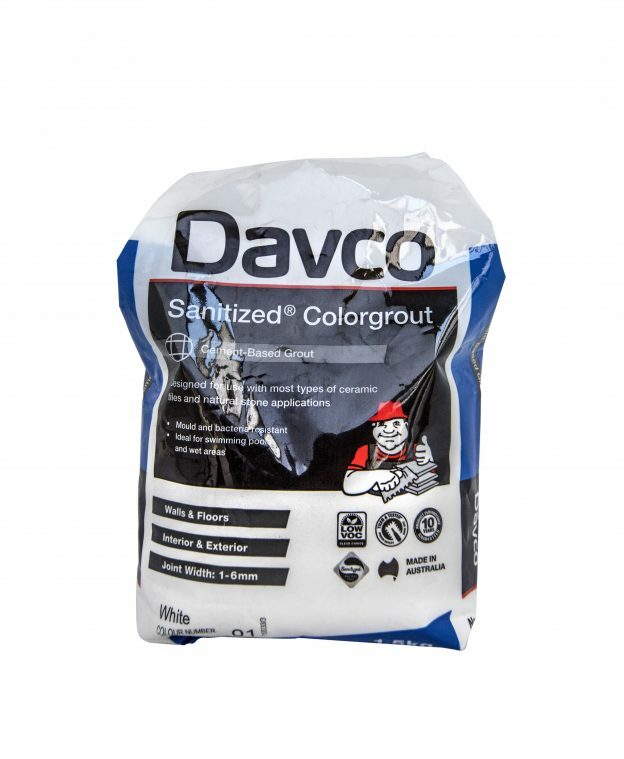 For these types of installations, use Davco Epoxy Grout.